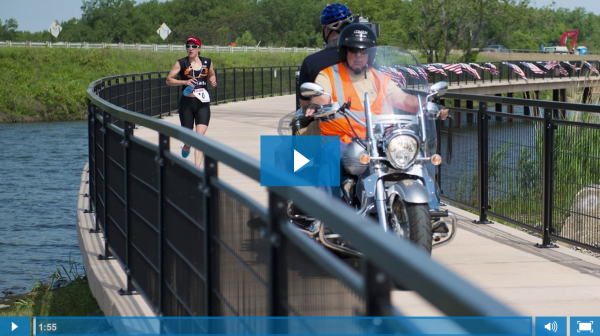 On June 1, 2014 the PermaTrak boardwalk at Wolf Lake saw its heaviest action to date by camera crews on motorcycles and golf carts following hundreds of runners during the first race of Chicagoland's Tri Series, Leon's "World's Fastest" Triathlon. 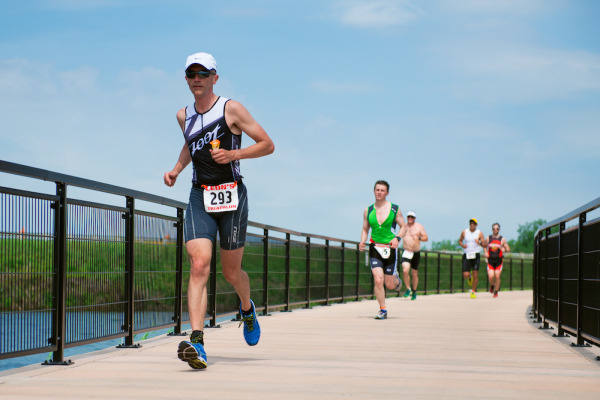 Athletes have an option to compete in an Olympic distance or Sprint distance triathlon. The Olympic distance course includes a 0.9 mile swim, 24.8 mile bike ride and 6.2 mile run. As a memorial to the American soldiers fighting for their country, the race course was lined with over 2,000 American flags. The Wolf Lake Trail in Hammond, IN is a popular multi use trail owned by the Hammond Port Authority - about 20 minutes outside of Chicago. A recently installed PermaTrak boardwalk connects the North Trail and South Trail into a 10K loop that includes a crossing over Wolf Lake. Kayakers and paddleboarders can cross underneath the boardwalk, which rises up to 15' above the water surface in some places. 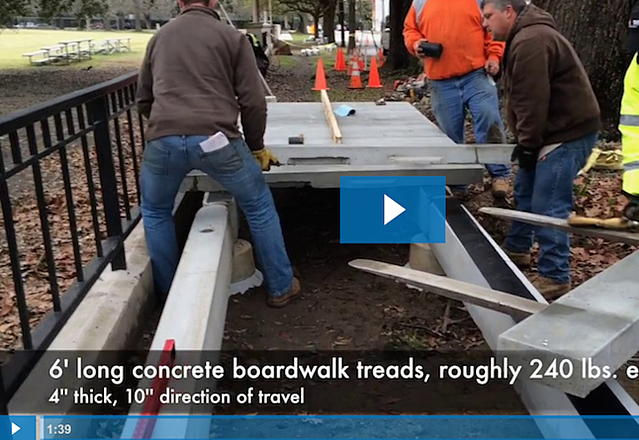 Here you can see boardwalk construction photos and read more about Wolf Lake Trail. 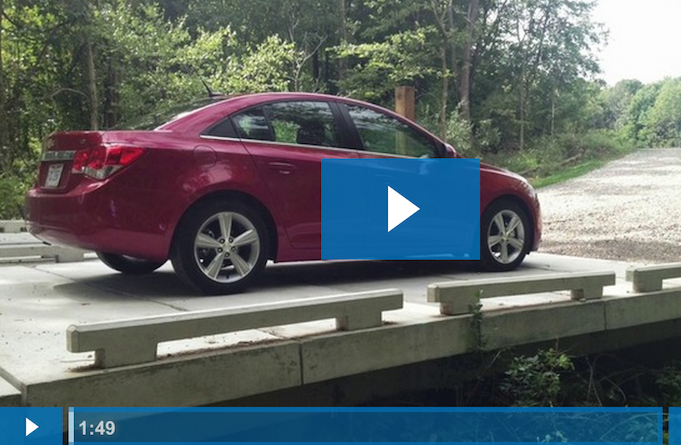 Enjoy the video below showing race coverage over the PermaTrak boardwalk at Wolf Lake. "I thought the boardwalk was very scenic, very nice, very pleasant, smooth. I enjoyed it very much." "I liked that it was right along the lake and we had the breeze off the water. I kind of felt we could see water on both sides." "It felt very comfortable. I mean the whole path is very good on the legs, very good on the knees." "I thought it was wonderful. I thought the venue was great. It took your mind off of what you were actually doing. The pain went away when you were running." Jason Philbin running the Leon's Triathlon at Wolf Lake in Hammond, IN.